I love theme parks. 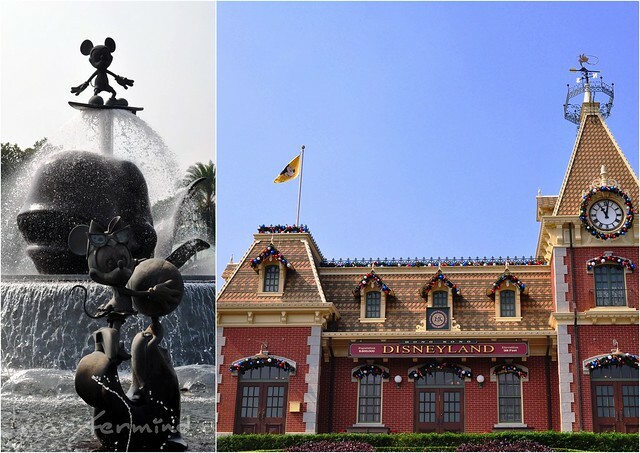 Who doesn’t want to go to Disneyland and see Mickey Mouse or any of your favorite Disney characters in person. I’m a 90’s kid and I’m proud that I grew along with Disney. I was entertained with its characters and touched with its stories. 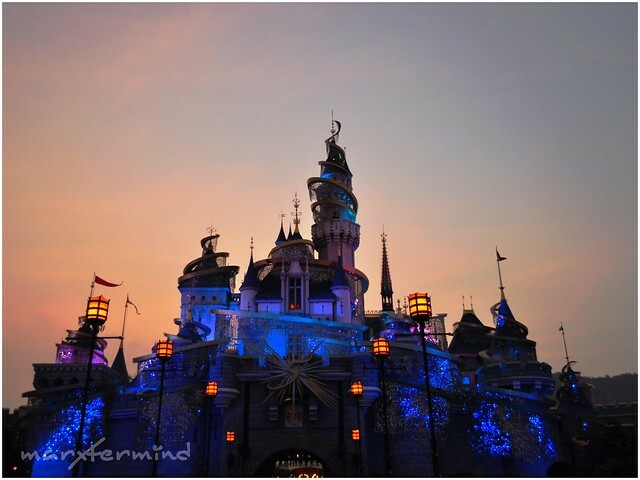 How to go to Hong Kong Disneyland from Tsim Sha Tsui? 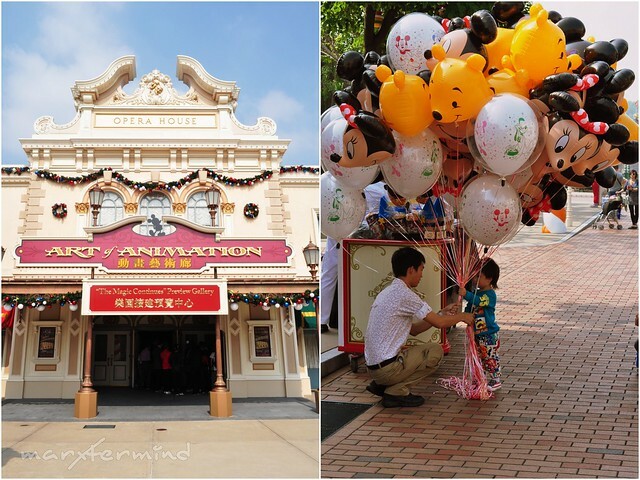 And the day had finally arrived for us to visit Hong Kong Disneyland. From our guesthouse in Mirador Mansion, we rode an MTR train at Tsim Sha Tsui station going to Lai King. Upon arriving at Lai King we changed MTR line and rode another train going to Sunny Bay. 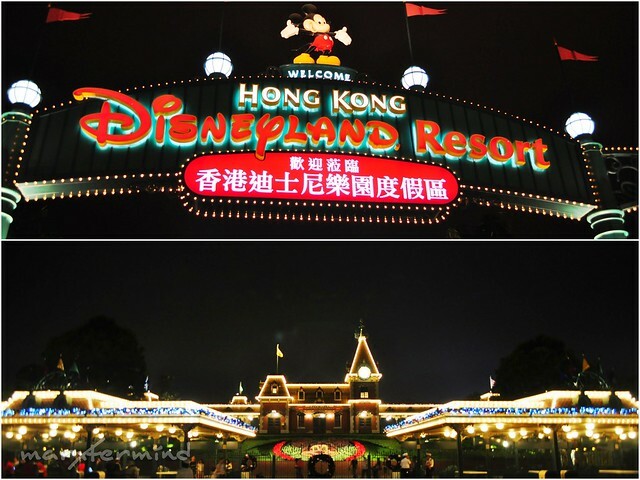 Then we changed another MTR line going to Disneyland Resort. 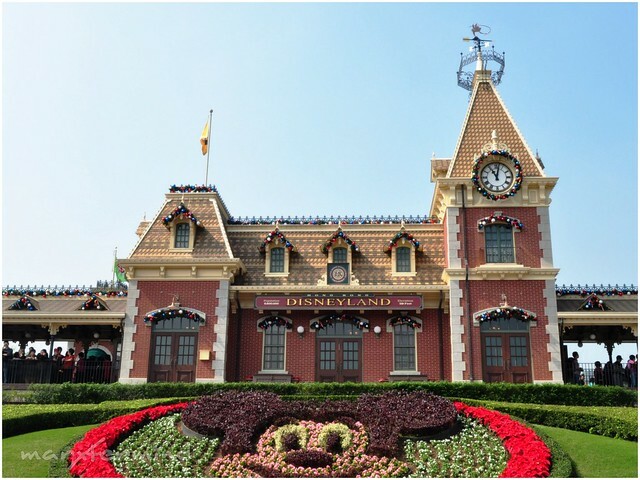 Train to Disneyland is quite different from the other trains of Hong Kong because of its Mickey Mouse like handrail and window. It was about 11:00 AM when we arrived the park. We already purchased our admission tickets prior to our trip. We were still actually tired from our yesterday’s trip but hey this is Disneyland. I was really excited to explore and ride all the rides that I could. 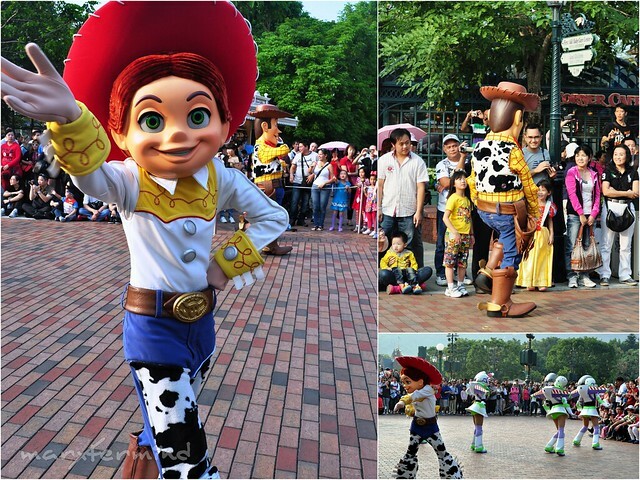 The park is subdivided into 5 parks, Main Street USA, Adventureland, Tomorrowland, Fantasyland and the new Toy Story Land. 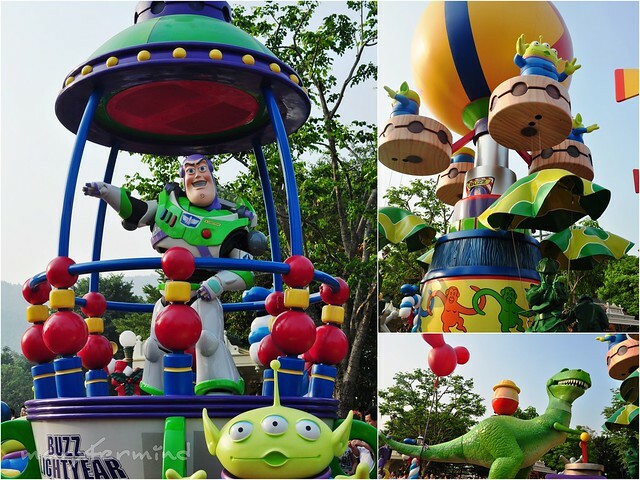 The Toy Story Land was officially opened on November 18, 2011. We didn’t able to wait for its opening since we went to Disneyland 3 days before it was opened to the public. We took a park map and went to the Meet Mickey and Minnie Mouse area in the Main Street, USA wherein you can have pictures with them. 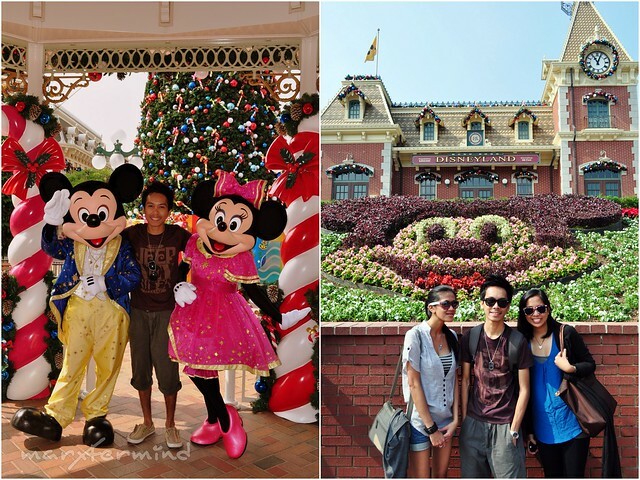 The queue was quite long and it took us about 45 minutes to have our pictures with Mickey and Minnie Mouse. It was already past 12:00 PM so we had our lunch first. Our ticket includes 3-in-1 dining coupon which has lunch, snack and dinner. We redeemed the lunch voucher at Comet Cafe. 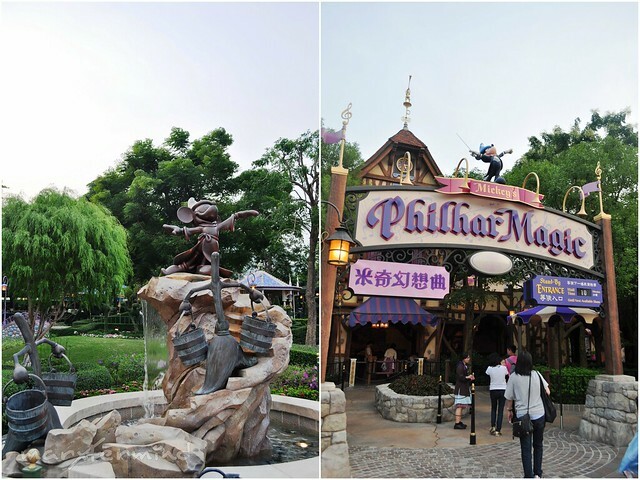 As soon as we finished our lunch we resumed our tour and started to explore the Adventureland. It wasn’t time yet for the Festival of Lion King so we went to the Tarzan’s tree house first. We rode a river raft to get to the tree house. This attraction shows the story of Tarzan. 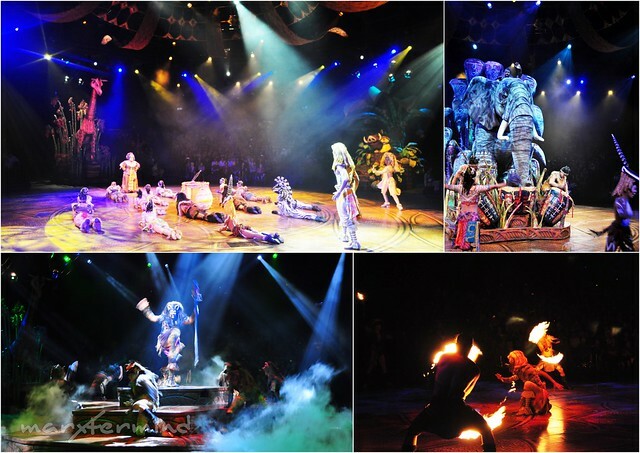 We were just in time for the Festival of Lion King when we finished our trail to Tarzan’s Tree House. My best told me that I’ll be going to love and miss Theater again when I watch the show. 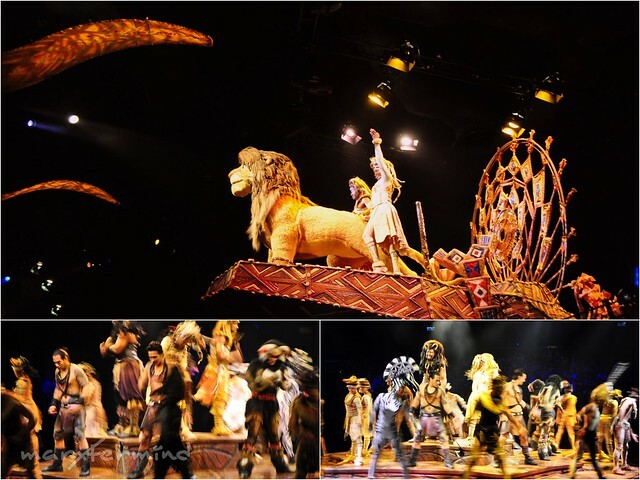 The Festival of Lion King is a musical show celebrating Lion King’s story. I felt goosebumps while watching it. The costumes, sounds and lights were all amazing. The cast and their performances were all excellent. And my best friend was true. I suddenly missed Theater after watching it. I used to have Theater workshop and I was thinking if I’ll be going to enroll myself next year. 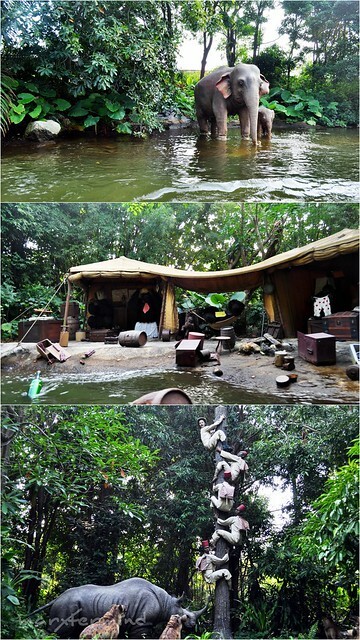 When the show ended, we hurriedly went to the Jungle River Cruise. 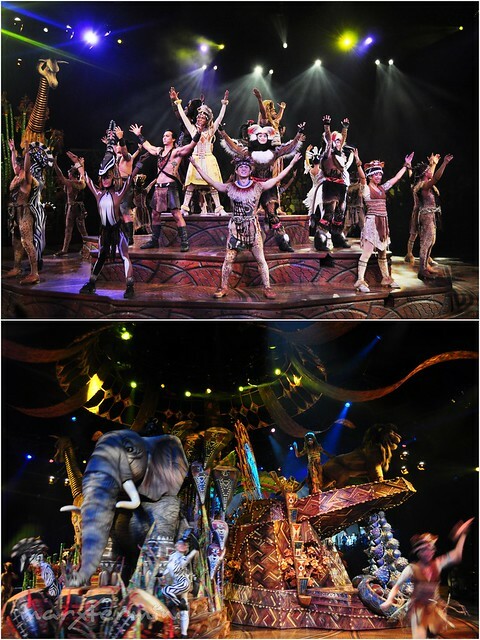 I knew most of the people who watched the show will go either to the Tarzan’s Tree House or the Jungle River Cruise. I was correct people started to line up and good thing we were able to line up before they lined up for the ride. It was a big boat adventure to the safari with artificial wild and beasts of the jungle. It was already 3:00 PM when we ended exploring the Adventureland. We went back to the Main Street to catch the Flights of Fantasy. 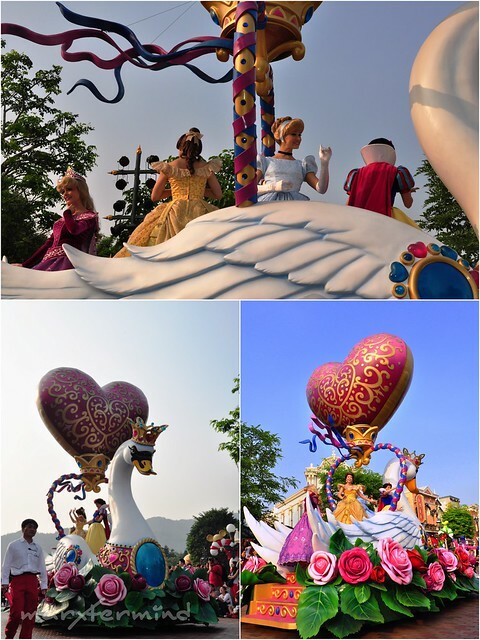 My best was really excited for the parade, specially to see the Disney Princesses since she wasn’t able to catch it the last time she got here. 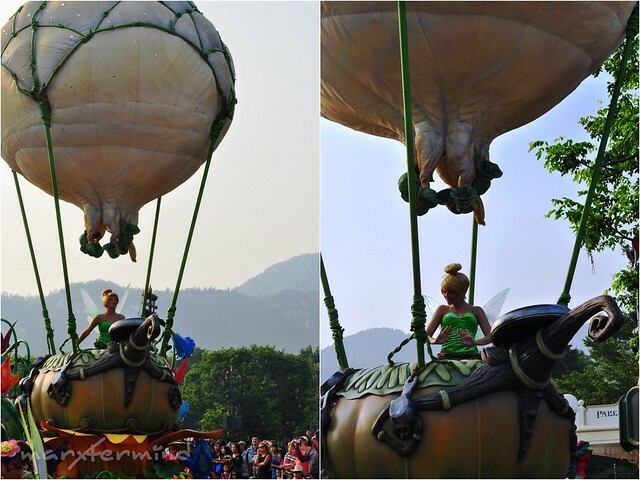 I was really excited as well to see my favorite Disney characters on parade. At 3:00 PM, the parade started. 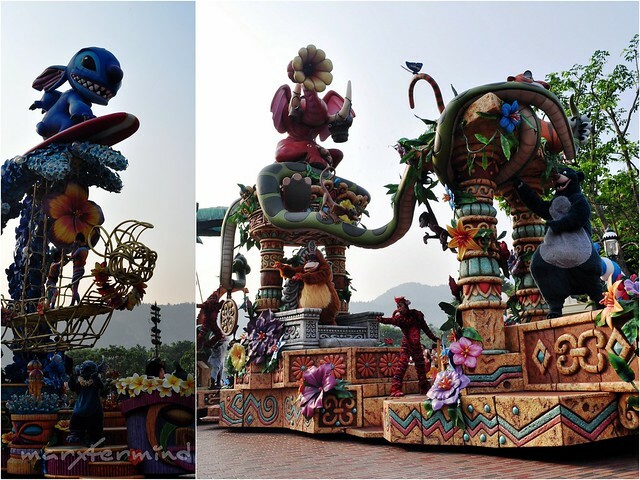 I was so thrilled to take a picture of each units on the parade but the Disney staff were so strict. They approach whenever guest go beyond the gutter. And here’s the Flights of Fantasy. The parade lasted for about 30 minutes. It was truly entertaining. I felt like I was a kid again looking on my favorite characters which I can only see on TV before. 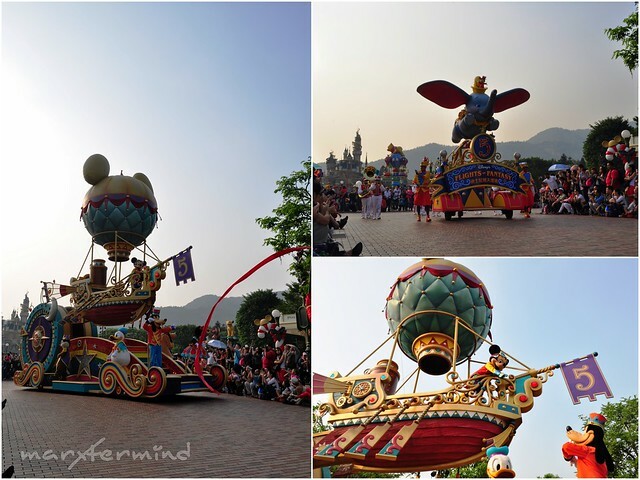 We hurriedly went to Tomorrowland as soon as the parade ended. We first tried the Autopia. 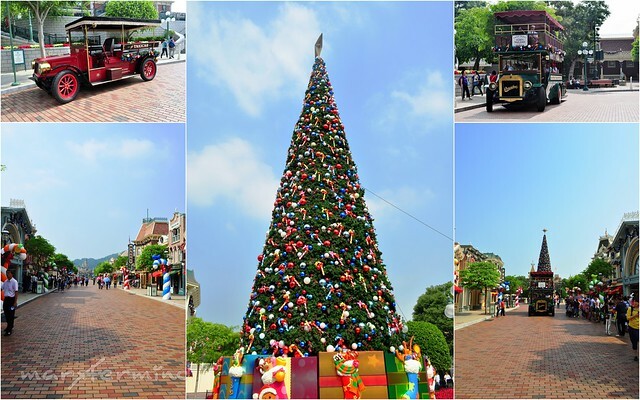 The ride is to drive the wheel car and drive past the scenic landscape. Afterwards, we went to the Space Mountain. 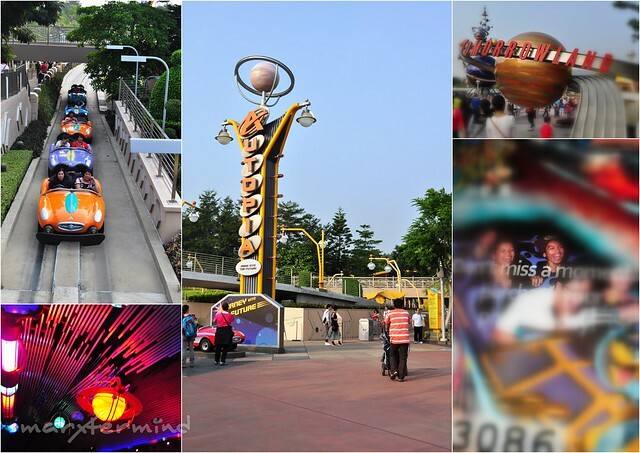 I was really excited to ride this one since its the only thrilling ride I found when I checked out the park’s map. It was an indoor roller coaster through darkness where there are thrilling lights, sounds and electrifying special effects. Look at our picture during the electrifying ride, screaming during the ride and just enjoying it. We went to the Fantasyland after. It was already getting dark and we still have number of rides to try. 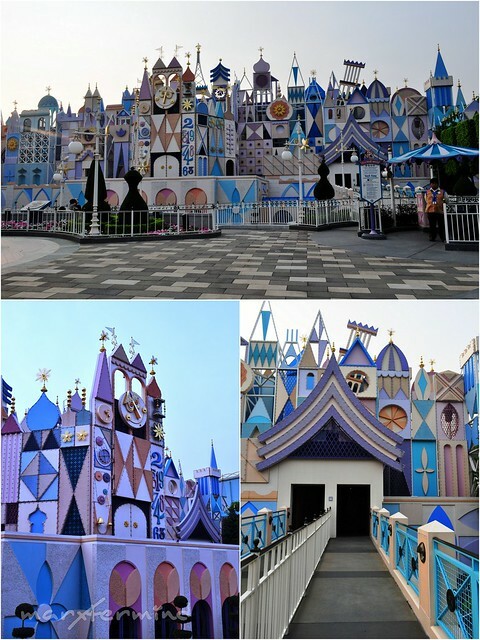 The first one we got into was “It’s a Small World” attraction. Let the pictures show you how small our world is. It was glee. 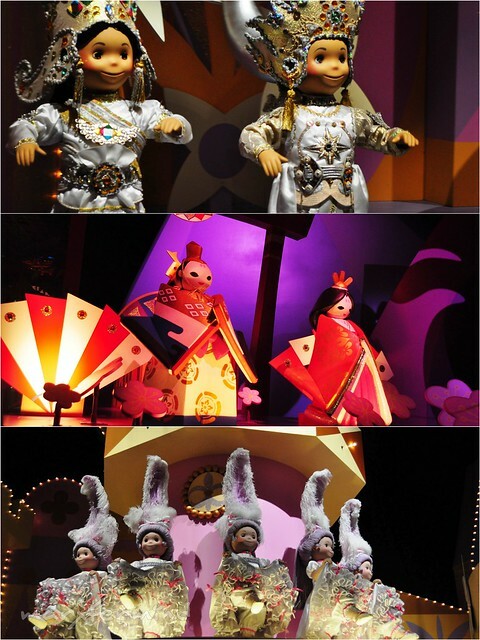 It was an enchanting ride watching dolls dressed into different nationalities and singing their version of “It’s a Small World”. And of course, Philippines was there! 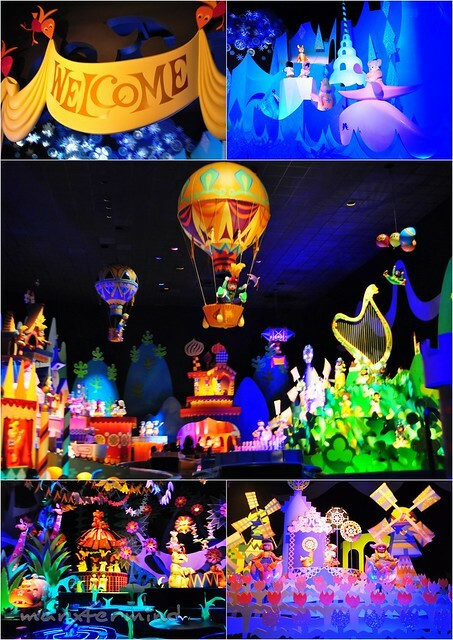 Most rides in the Fantasyland are for kids. Then we went to the Mickey’s Philharmagic. 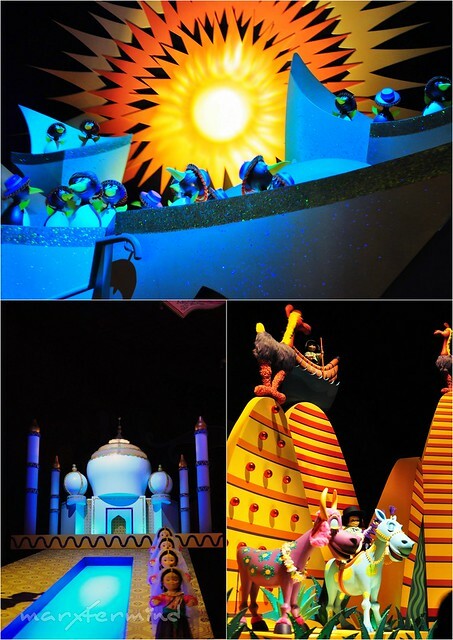 A 3D show relieving the memorable moments of Disney films. We went back to Tomorrowland to have our dinner. We redeemed our dinner voucher at Starliner Diner. Then we tried another ride in Tomorrowland, Buzz Lightyear Astroblusters. Because we still had time before the fireworks had started, we decided to try another ride. We went to the Golden Mickeys but unfortunately it was already closed so we went back to Tomorrowland. Instead, we watched the show at Stitch Encounter. 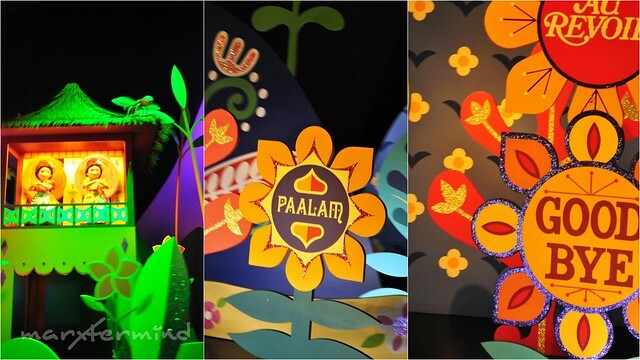 It is an interactive show wherein you can talk to the mischievous Stitch. And he is really mischievous. I got picked up from the audience and got the chance to talk to him. It is hilarious. A picture of mine was also shown in the screen during the show. It was taken while me and my friends were on queue for the show. I had no knowledge of having my picture taken, it was so embarrassing. 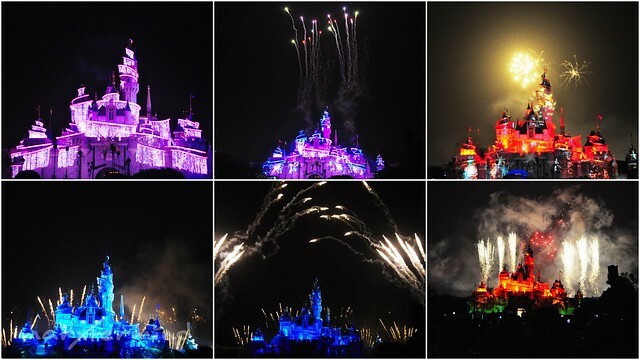 The show ended just in time for the “Disney in the Stars” Fireworks. 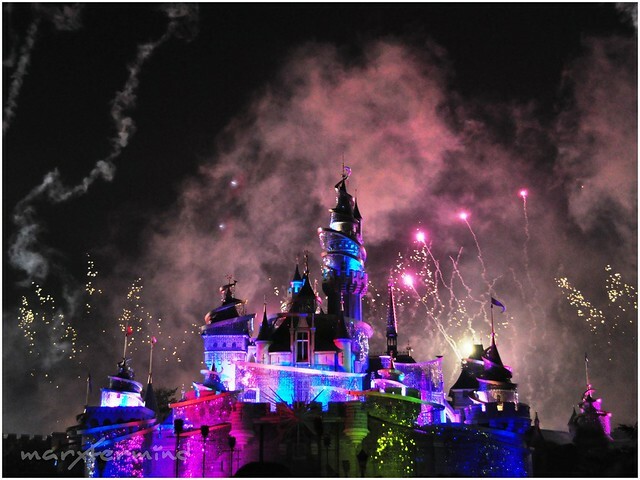 It’s a spectacular fireworks show that transforms the sky above Sleeping Beauty Castle into a stunning evening spectacle. 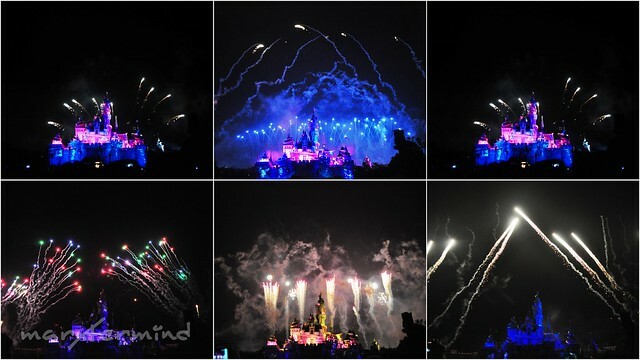 Let my pictures show how breathtaking and fantastic the fireworks were. I really enjoyed it. Me and my best friend promised that we will come back here and we’ll spend a night in Disney Hotel to experience more magical moments with Mickey and the rest of the Disney characters. 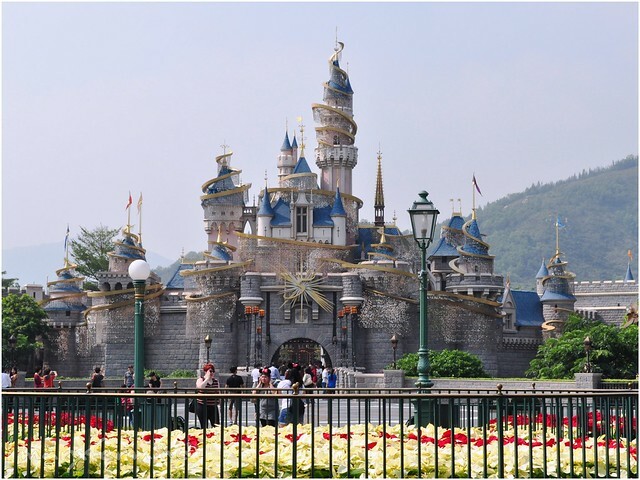 Our Hong Kong Disneyland ticket was purchased in China Travel Services Limited. They offer cheaper admission tickets and packages. 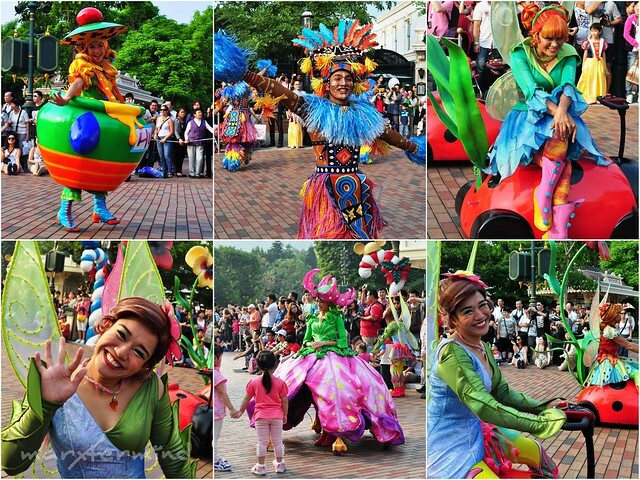 Go early to fully enjoy the theme park’s ride and attraction. 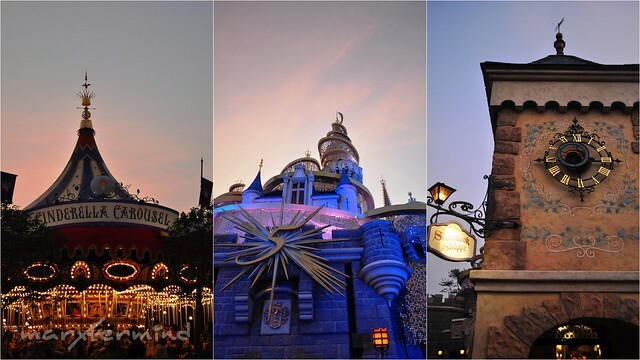 Plan your visit – list down which rides and attraction to prioritize. Bring bottled water and little amount of food (snack). 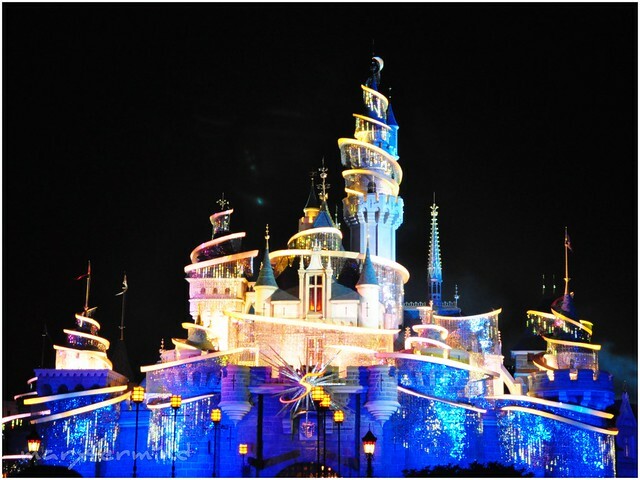 @Robbie, HKD 458 ung Disney ticket including 3-in-1 Dining Coupon. Waaah! How much were the tickets? @Gladys | ByahengBarok.com, wow! Glad that you enjoy it as much as I did! sipag mo kumuha ng picture ah at nasa harap ka pa sa show. galing ng kuha kahit low light. After reading a post about Disney from Tripadora, here it again! I want to come to Disney too! How much did you spend for the travel by the way? @juanderfulpinoy, Indeed! Merry Christmas din!